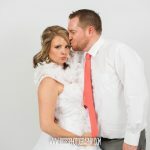 Biggs Photography - Your premiere Cedar Falls wedding photographer! Also serving Waterloo and all of Iowa. 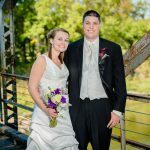 We work together to make sure that the images from your big day are worthy to be viewed for a lifetime. "A great marriage is not when the 'perfect couple' comes together. It is when an imperfect couple learns to enjoy their differences." We are a husband and wife team who work together to make sure that the images from your big day are worthy to be viewed for a lifetime. We work hard to create timeless images that you'll be proud to have on your walls and that will help you remember all the best moments from your wedding day. We're not about the latest fad or gimmick, we're about great images and memorable moments. 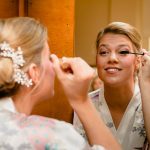 We're also about making your day special and will be happy to provide our assistance and experience in any area of need that may arise on your big day. Whether that means pinning on boutonnieres or cutting cake (and yes, Nicole's done both!) we are both there to make your wedding day everything it should be. We are also dedicated to helping to make the Cedar Valley a better place in any way we can. I actively partner with the Now I Lay Me Down to Sleep Foundation (www.nowilaymedowntosleep.org), an organization that I am truly proud to be a part of. We also donate images to auctions benefiting the Cedar Bend Humane Society (www.cedarbendhumane.org) in addition to volunteering our time to other worthy organizations in the area. Travis shot both our engagement and wedding events, his work is high quality, he is very personable, and makes everything so easy! I would highly recommend Travis with a 5+ star rating! Biggs Photography is AMAZING! The attention to detail that is put into his photography ensures that your pictures turn out better than you expect. I just finished reviewing the photos from our wedding and there is not a thing that could have been better. Travis is flexible and willing to do any idea that comes to your mind. Biggs Photography recently photographed me for a contest that I entered. I have never been comfortable in front of a camera, but Travis and Nicole made me feel very at ease during my session. Travis is a creative photographer that produces quality work. The pictures turned out great and I would not hesitate to recommend Biggs Photography for any type of photography needs!